A major new interactive exhibition showcasing the Star-Spangled Banner, the flag that inspired the national anthem, is at the heart of the renovated and revitalized National Museum of American History in Washington, DC. 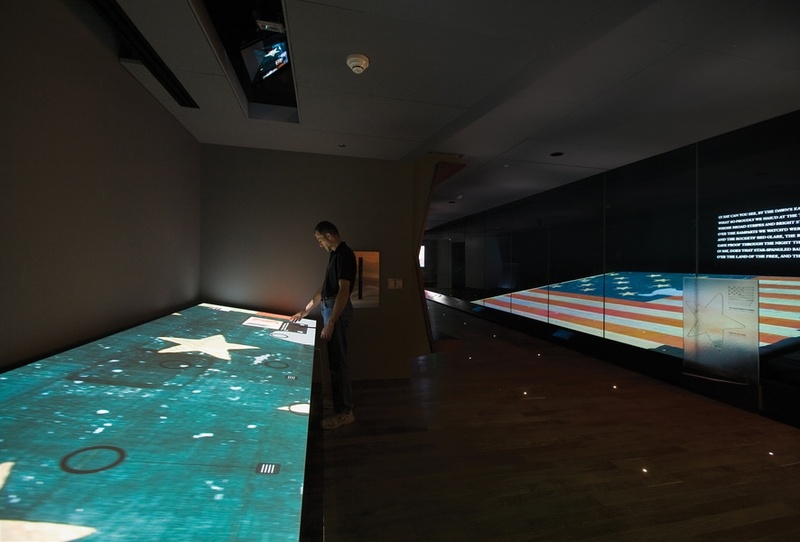 The 8,000 square foot experience explores the history of one of the best-known American symbols. 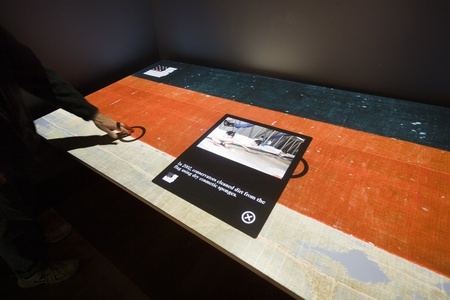 Part of the exhibit includes a larg, 15" x 4" interactive table. 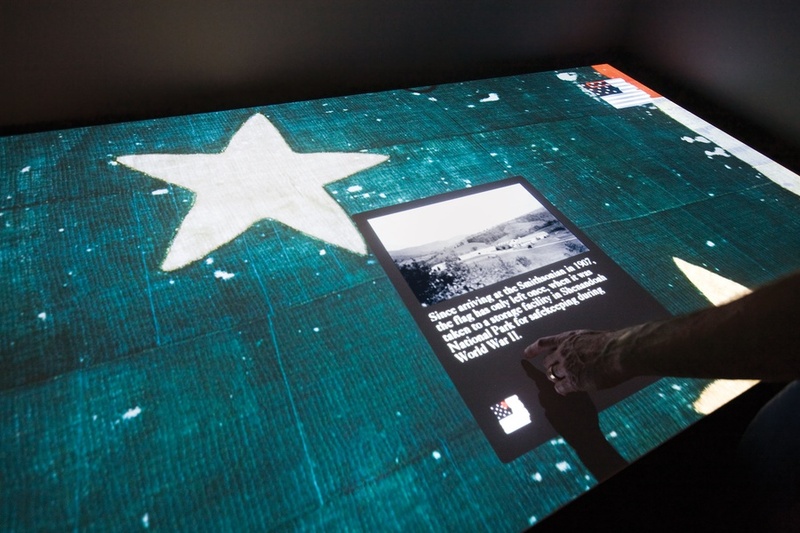 Visitors can play with a projected image of the flag to get more information about the various marks on it. There is an infrared camera tracking visitors' movements and allowing them to interact with the projections in front of them. This large, multi-user touch-sensitive exhibit is a permanent installation in the National Museum of American History. Concept Design, Exhibit Design, Graphic Design: C&G Partners.